DSE is your club, so we want to hear your feedback and ideas! 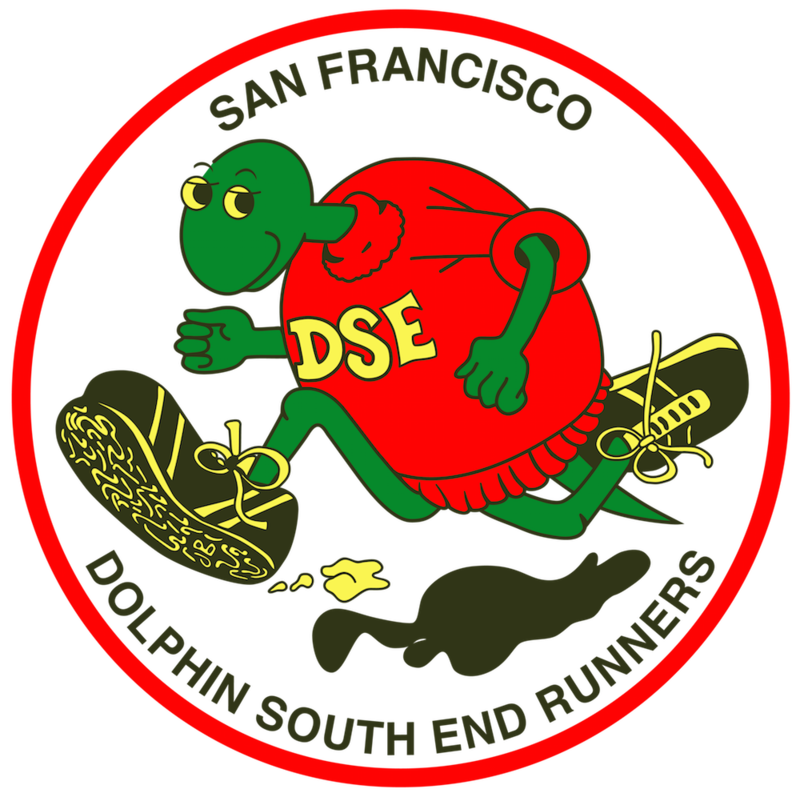 Join us at the Presidio Sports Basement after the Marina Green 5K to get an update on what we’ve been doing in 2015 and give us input on new club initiatives. We’ll setup early with snacks and refreshments in the Community Space next to the exit, so head over when you finish your race for a bit of shopping and catching up with fellow DSE members. Below is the planned agenda; if you have additional items to discuss, email me at dse@kitzzy.com ASAP. One of my goals for this year is to find more ways to recognize and thank our members for helping us put on more than 40 races a year. The new volunteer points and rewards system is one way, and social media is another. Our officers are taking a more active role at our weekly races by introducing and thanking our weekly race directors and volunteers. We’ve created a special Race Director button, so make sure you wear it the next time you race direct. Thank you to the following members who took on the challenge of Race Directing in March: Amber Wipfler, Suzana Seban, Mitchell Cvecko, Daryl Lupino, Joseph Connelly, and Christine Clark. If you are interested in serving as Race Director for an upcoming race, specially in April, please contact Kevin Lee ASAP. Due to delays in permit approvals and conflicts with other local races, we’ve had to make changes to our race schedule. Our races are always subject to change throughout the year, so I want to remind you not to rely on the printed schedule; always confirm race details the week prior on our website or phone hotline. 3 points is the minimum requirement to be considered an active member. Anyone who earns 3 volunteer points by September 1st will receive an invitation to the Volunteer Appreciation Picnic on September 20th. This will also fulfill your volunteer requirement for a Small Mongo trophy, Age Division, and Top 5 awards at the Gala. 6 points is the minimum requirement to qualify for a Large Mongo trophy, and will earn you a free DSE race entry. Active members will receive a free DSE race entry for every 6 volunteer points earned. If you can help with any of these, please contact the board for more details. DSE has once again partnered with Brazen Racing to put on the Walt Stack DSE Double Dipsea Race on June 20. Registration opened on March 10, and all spots sold out in record time, within 24 hours – must be the It’s Its at the finish line! I am working closely with Brazen Racing and we need everyone’s help to make this race a success. Jennifer Walker is this year’s Volunteer Coordinator, so if you’re not running this race, please check out her article in the April Newsletter for how you can get involved and earn 8 volunteer points. One thing I’ve heard from many members is that they want us to update our race timing system. Well, we’ve heard you and want to fill you in on the details of how our new electronic timing system will work. Starting at the Easter Roller Coaster 5K on April 5, we’re going to start handing out stopwatch necklaces to every runner that attends our races. When the race director says “GO!,” each runner starts their stopwatch and runs the race. Once you cross the finish line, you just stop your stopwatch. It’s that simple! After crossing the finish line, you’ll walk over to the finish line table, show the volunteer your stopwatch and tell them your name and age. Next, go over to our stopwatch collection table and return your stopwatch. We’ll try to keep the lines as short as possible. After returning your stopwatch, you can then get the food and water that you earned! We think you’re really going to love this new system. Kitzzy and I have been running around our neighborhood with the stopwatches and you really get used to the flopping around in no time. It will hit you in the face now and again, but it only stings for a second. Ok, so this is clearly an April Fools joke, but I really am looking at ways to improve our timing system and hope to have a real update for you soon. If anyone is interested in helping, please contact me. We’ve all experienced that feeling of the predawn run, watching the sun rise and breathing life into the day. How about that run after work, just as the moon is rising and the world is settling down? It’s magical. That’s where this year’s gala was born. The evening started with a time warp from bright daylight to the dimmed lights of the South San Francisco Conference Center. Glowing flowers and lighted balloons adorned the centerpieces while guests made glow-in-the-dark necklaces, bracelets, and all sorts of creative decorations. Photos from the year were playing on the big screen and music serenaded the runners during cocktail hour, many of whom rarely see each other wearing anything except tech-clothes. “So this is what you look like in regular clothes!” was heard more than once. Snoop Kitty and the Meows opened the show and MC Tony Nguyen introduced the crowd to our outgoing president, George Sacco. After some short remarks and thanking the 2014 Board, he introduced the club to its first female president, Kitzzy Aviles. She then presented George with the presidential clock plaque, said a few words, and introduced the 2015 Board. The evening then moved into the awards ceremony where we got a chance to recognize all of the amazing accomplishments that have been achieved throughout the club: Small Mongos for those volunteering members that have run over 250 miles, Large Mongos for those that ran over 750 miles, and the kids of the club who get the biggest trophies of them all! Janet Nissenson recognized all of the age group winners and Barbara Robben presented the Eco Award, with special recognition to Vince French. Kevin Lee presented the RRCA Volunteer Award to Mary Gray, Denise Leo, and Chikara Omine. This award is earned over many years of volunteerism by contributing over 2000 hours to the club! Vince French passed on the Walt Stack Award to Denise Leo for going beyond the call of duty in volunteering for the club, including the majority of the Thursday Evening Summer Series and the finish line of many Sunday races. She is the Race Results Coordinator and makes sure her team gets results handled smoothly and swiftly. George Sacco presented the DSE Lifetime Service Award to Jane Coleman for her longtime service and dedication to DSE. Like many club volunteers, she began as a runner, then volunteered at the races, moved up and served as a Race Director and volunteered at the Double Dipsea. Although she has never held a club officer position, she has anchored two key coordinator positions for the past 15 years: Membership Coordinator and Newsletter Editor. Mary Gray and Jason Buckner ended the award ceremony with the Top Five Awards for Volunteerism, Race Attendance, Race Place, Race Miles, and Total miles. At the conclusion of the presentation, we had a grand prize drawing for a weekend stay in the penthouse of the San Remo hotel and a showing of a wrap up video from The Relay, one of the club’s big yearly events. This was followed by music and dancing, something that our club members are exceedingly good at. The new officers will take their positions effective as of the 2015 Gala. Thanks to all the candidates who participated and to all the DSE members who took the time to vote.Congratulations to the new club officers. Last but not least, a big thanks to the 2014 officers for an excellent job well done!